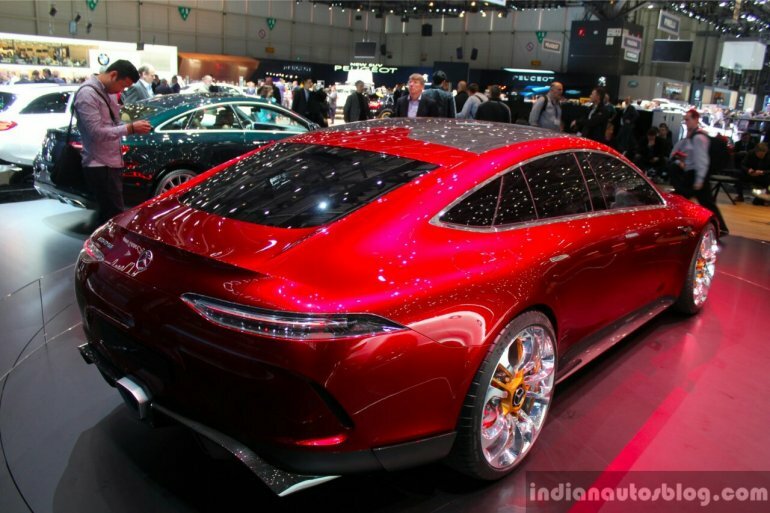 The Mercedes AMG GT concept shall compete against the Porsche Panamera. Mercedes has unveiled the all new Mercedes AMG GT concept at the 2017 Geneva Motor Show. 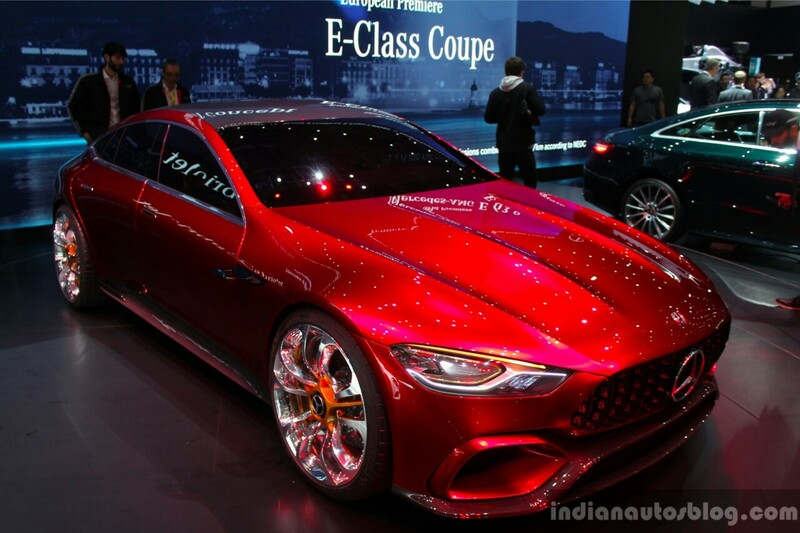 It previews a future 4-door performance sedan built with tech from the two door AMG GT, and is the first of its kind from Mercedes-AMG. Powering the Mercedes AMG GT concept is the twin-turbo 4.0 litre V8 powertrain and an electric motor which helps produce a combined power output of 600 kW (815 PS). This helps the AMG GT concept have a 0 to 100 km/h of less than 3 second. The four-door sports car from Affalterbach gets a 4MATIC all-wheel drive is used to ensure balanced torque distribution. The car also gets three modes of operation, petrol, electric and combined (hybrid). The front grille gets red paint on the sides while the overall design philosophy remains the same as that the two door version. The new configuration of the extremely slim main headlamps and the side air gills with their dominant design in the front apron are hallmark AMG GT design characteristics which have been advanced to a new level here and express pure power. The tail end gets wide carbon-fibre diffuser curved downwards at the sides and the centrally arranged tailpipe trim reminiscent of the Mercedes AMG GT R. The crouched, dynamic greenhouse with its steeply sloping roofline and the slim layout of the frameless side windows in the Mercedes AMG GT concept highlights the dynamic forwards thrust of the AMG GT Concept when seen from the side. Mercedes has added that the Mercedes AMG GT show car gives a sneak preview of the exterior design of the coming series production model. A timeline, however, has not been revealed yet.